As a wedding invitation designer, I get to occasionally hear “I don’t think invitations are that important because people just throw them away”. Well, this is true for a poorly designed invitation. But not for ones that are well-thought! After all, don’t you want to tell your guests that your wedding is going to be so much fun? Don’t you want to convey who the bride and groom really are? Sounds like too much to do? Tadaaa! A carefully designed Invitation does the job for you. Invitation is one of the most important parts of your wedding because it kick-starts the merry mood for all the upcoming festivities. It is a way to create the first impression. You cannot expect a boring flat card to do that for you. You need to make sure your invitation reflects your personality and excites the guests to attend your wedding. And the best way to do this is through interactive invitations. So, here are a few examples for you. #1. A newspaper to break the big news! You can go for an invitation that looks like a newspaper to let your loved ones know about the news of your union. And not just the news, you can make it a lot more fun by creating a “fun corner” which has puzzles, quizzes, etc., related to the two of you. Give your invitation a personalised feel with a caricature invitation. And, don’t just stop at that! Make it interactive with specialised stationary and printing to retain the wedding flavour. Guests can flip through the invitation card to see the caricature of the bride and the groom along with all the wedding details. This card was created for a couple who loves to take long rides in their bike. 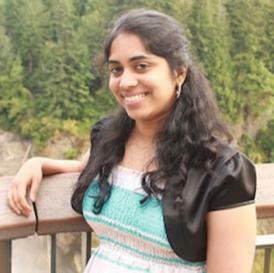 This experience was made to last forever through their wedding invite. 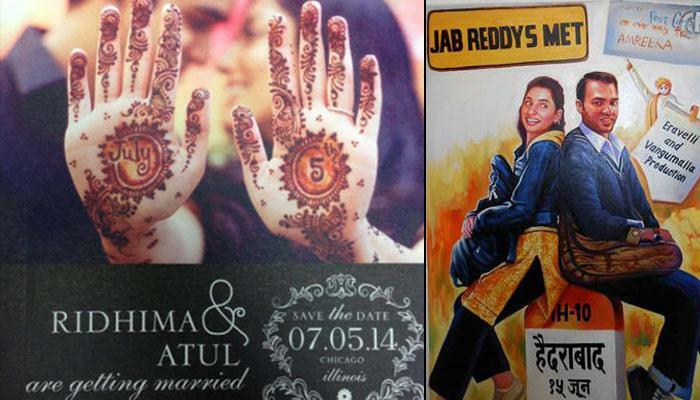 The card also shows “2 States” theme (since the bride is from Kerala and the groom is from Tamil Nadu). 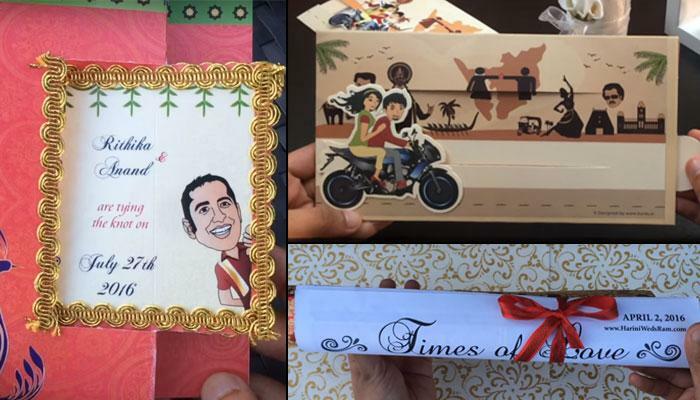 The invitation was cleverly designed such that the bike moves from Kerala to Tamilnadu when the card slides out. Well, do you still want to go ahead with a usual plain wedding invite to announce your big day? We hope not! So go ahead and let the world know about your big day in the most creative way!